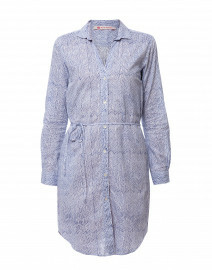 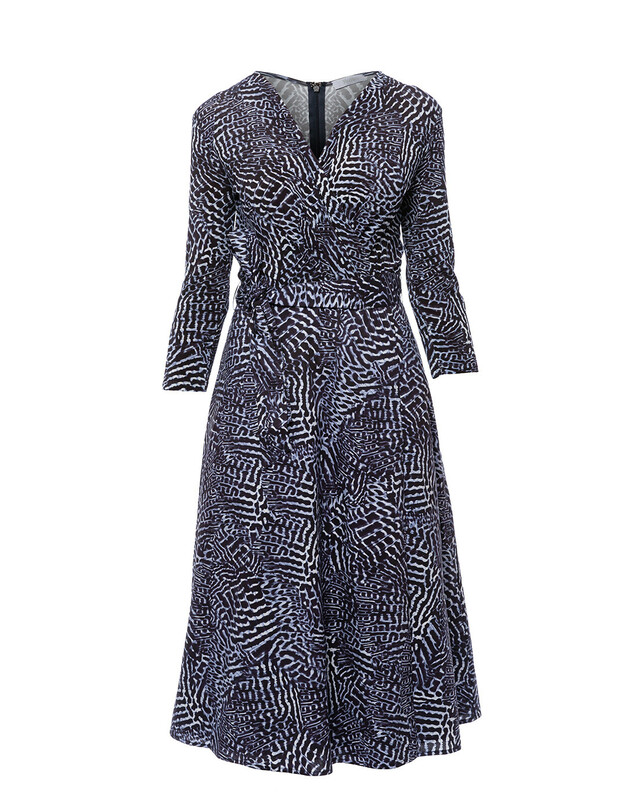 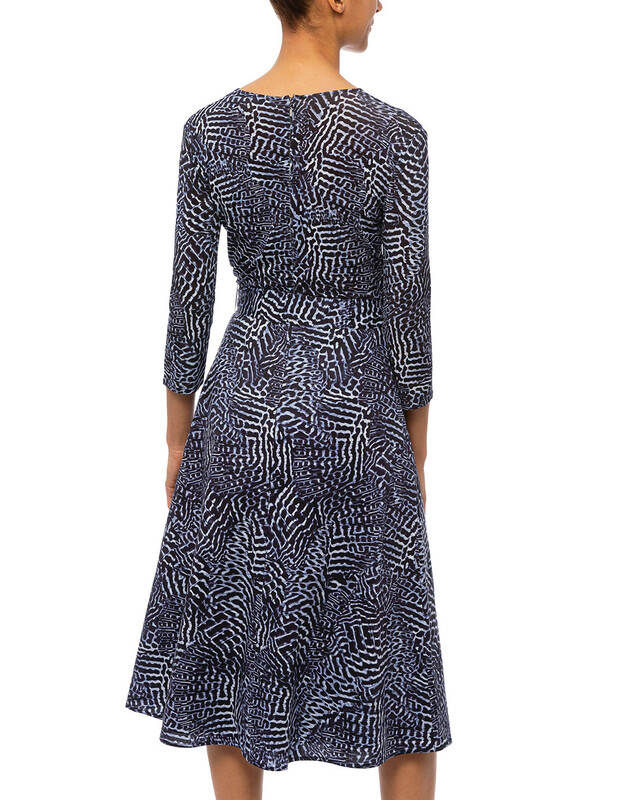 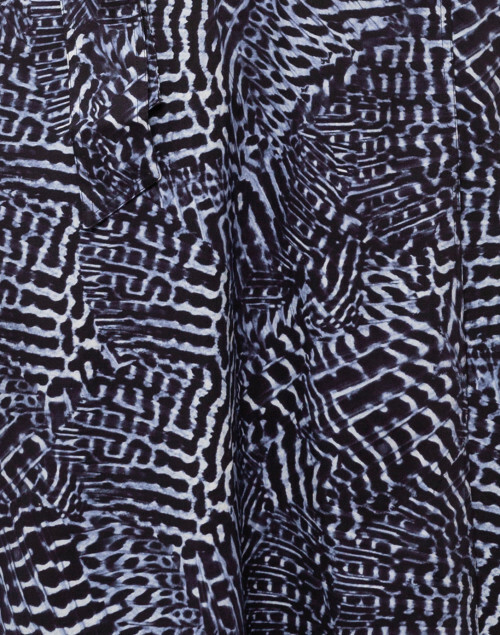 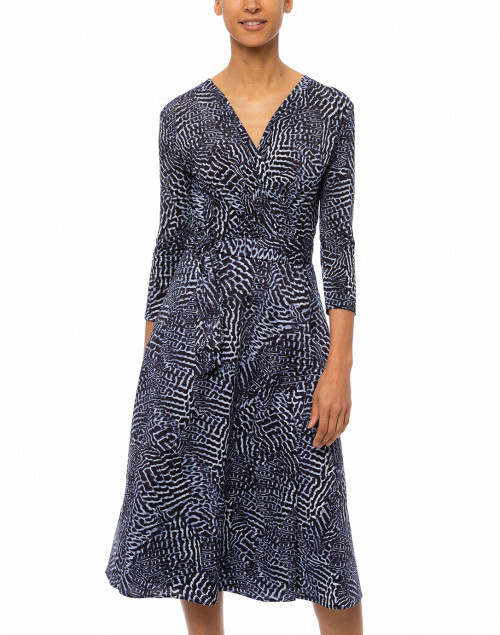 Look to Max Mara for elegant wardrobe staples such as this blue animal printed wrap dress. 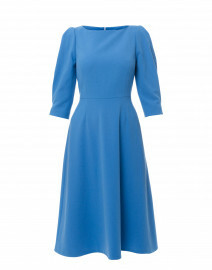 Made in Italy, the elegant fit and flare shape is crafted from stretch cotton jersey with a V-neckline and long sleeves. 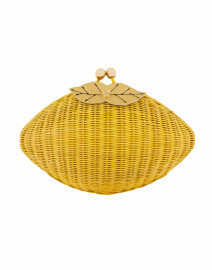 Style it with a statement clutch and gold-tone necklace for a modern look. Length 44" 44" 44" 44.5" 45" 45"
Shoulder Width 15" 15" 15.5" 16" 16.5" 17"
Bust 32" 33" 34" 36" 38" 40"
Hip 32" 33" 34" 36" 38" 40"
Sleeve Length 17" 17.5" 18" 19" 19.5" 20"